Skrillex has been in the studio collaborating with Deftones singer Chino Moreno, Mike Einziger and Brandon Boyd of Incubus and DJ Kilmore. 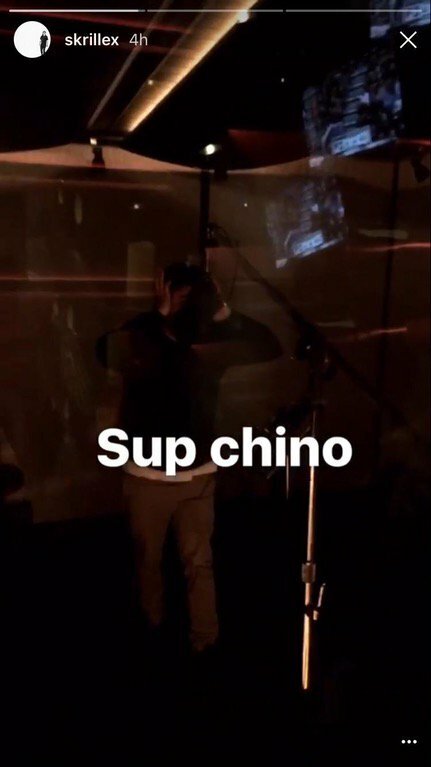 The OWSLA boss recently shared a picture of Moreno in a vocal booth with the caption "Sup Chino", along with footage of himself with the Incubus members eating cookies! Einziger also jumped in on tease-fest, tweeting snaps of the collective in the studio together. Skrillex famously began within the world of emo, back when he was simply Sonny Moore. The producer actually officially rejoined his old band From First To Last earlier this month, after playing a surprise gig with them in LA (check out footage of the performance here). Little is known about the nature of the collaboration but you can check out all the recent teasers below.